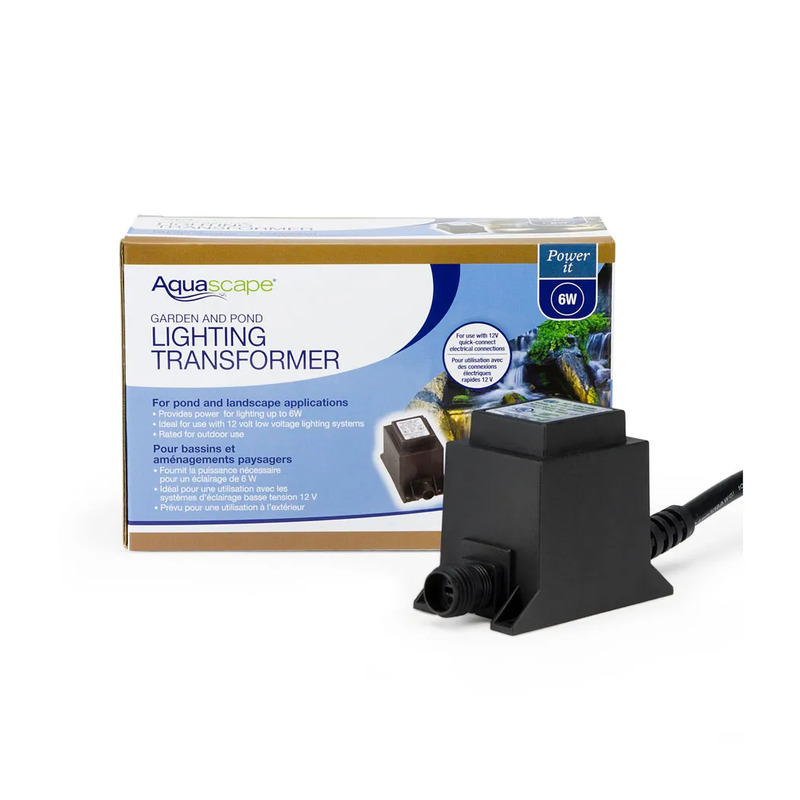 Make lighting your water feature quick and easy with the Aquascape Garden and Pond Quick-Connect Transformer. Aquascape low-voltage transformers provide an economical solution for operating low voltage lighting fixtures. The transformer includes a single quick-connect cable port, allowing you to simply plug your light or splitter directly into the transformer, making installation quick and easy. Aquascape 12-volt transformers feature a 6-foot power cord and durable epoxy sealed housing, ensuring trouble-free use. Make lighting your pond, garden, or water feature quick and easy with the Aquascape Garden and Pond Quick-Connect 12v Garden Light Transformer. 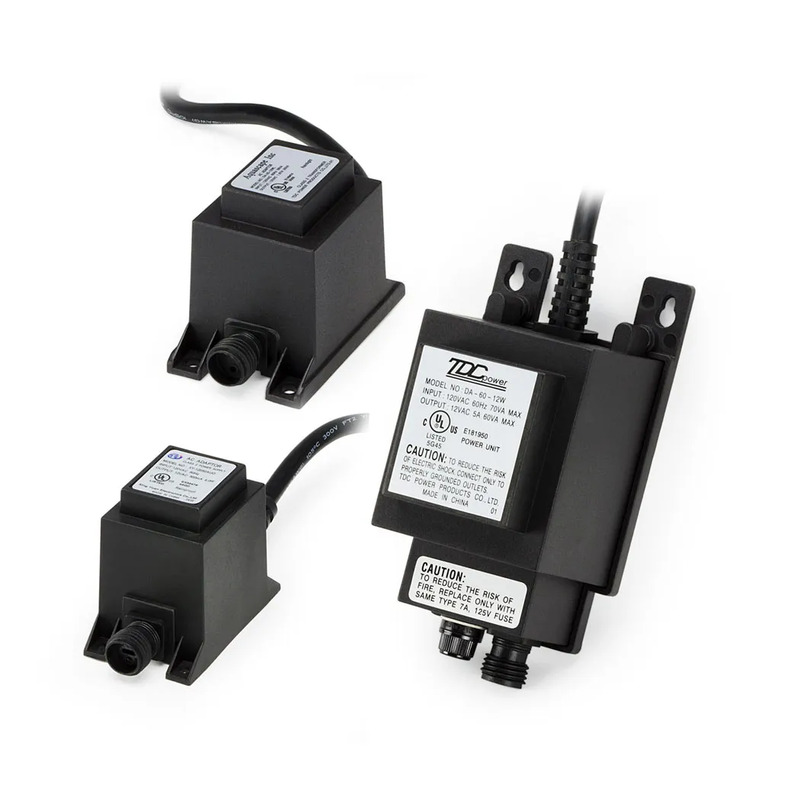 Aquascape 12v garden and pond light transformers provide an economical solution for operating low voltage lighting fixtures. The transformer includes a single quick-connect cable port, allowing you to simply plug your light or splitter directly into the transformer, making installation quick and easy. Aquascape 12-volt transformers feature a 6-foot power cord and durable epoxy sealed housing, ensuring trouble-free use.